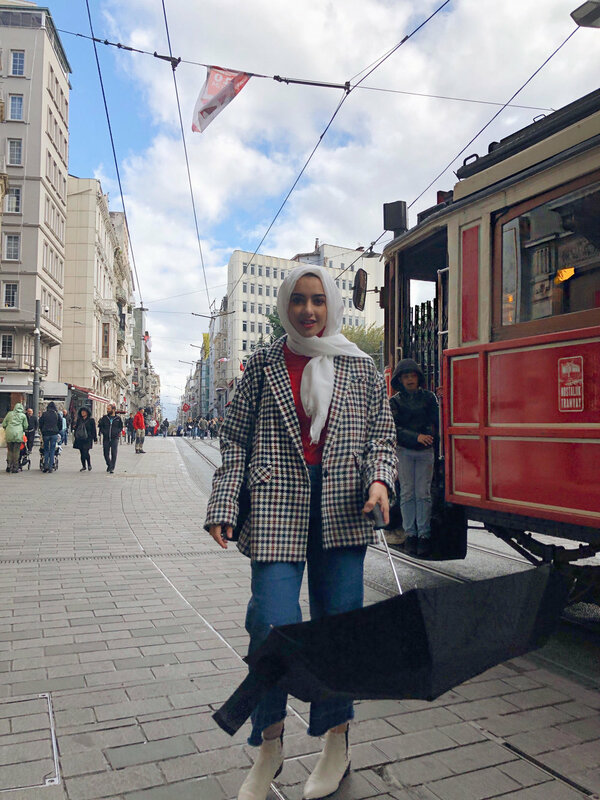 As you guys know I am spending my week in Istanbul Turkey, so here’s what I wore while exploring the city! When traveling, always opt for something comfortable. I wore a turtleneck top, with wide leg denim, then paired it with an oversized gingham blazer and white boots.